’Tis the season for entertaining – from Thanksgiving to holiday soirees, it's also the season to enjoy an ice-cold Coca-Cola in a special way. The Coca-Cola + Riedel Glass will enhance the experience for you and your guests. Riedel, the glassmakers known throughout the wine world for their varietal-specific stemware, have produced a glass inspired by the curves of the original Coca-Cola contour bottle to remind people of the specialness of drinking a Coca-Cola. The Coca-Cola + Riedel Glass will not only look beautiful on your holiday table, but will actually enhance the enjoyment of our trademark brand for you and your guests. 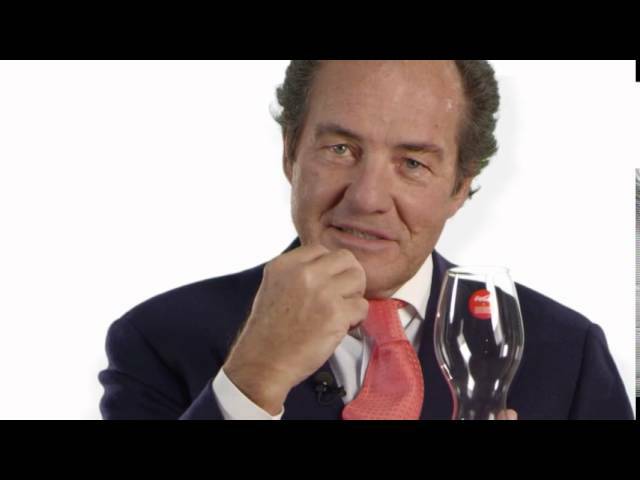 Georg Riedel, 10th-generation owner of the Austrian company, and his son, Maximilian, consider themselves lifelong Coca-Cola Ambassadors. In fact, they love our iconic brand so much that they created the Coca-Cola + Riedel Glass in 2013. In the short film above, they share their experience of creating the first-of-its-kind glass. The Coca-Cola + Riedel glass is not only a work of art, created with painstaking precision; it was specially designed to enhance the experience of enjoying an ice-cold Coke. Its distinct shape captures all the flavorful nuances—the taste, the effervescence and the specialness of Coca-Cola—in a refreshing new way. As you entertain friends and family this season, add some magic with the Coca-Cola + Riedel Glass, available for purchase here.